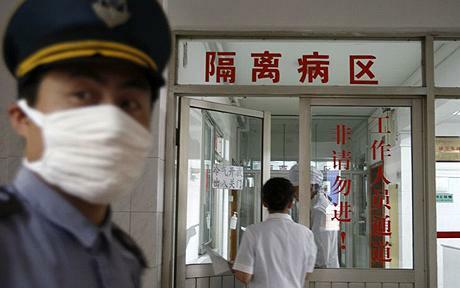 The Beijing Municipal Centre for Disease Control (CDC) says the city has started monitor in city hospitals for a new coronavirus infection that has caused five deaths in the Middle East. The WHO recently confirmed laboratory reports that a novel coronavirus infection has caused nine cases of serious infection, including five deaths increased. There are now concerns that this will trigger a new"atypical pneumonia (SARS) epidemic. To date, WHO has received nine new coronavirus infection confirmed cases, five cases (including three deaths) from Saudi Arabia , two cases from Qatar , the other two cases (all deaths) from Jordan. WHO has called on all members to continue to monitor for severe acute respiratory infections, and to consider the novel coronavirus as a possible cause of any unexplained pulmonary infections in patients. The WHO stressed that monitoring should take place worldwide and any countries or regions that see any cluster of severe acute respiratory infection should conduct a thorough investigation. In response, the director of the Beijing CDC Dr Ying Rendeng said the city has already begun to monitor for coronavirus, with a careful history taken of unexplained pneumonia cases required at all medical institutions at all levels. This aims to be a 'dragnet' for monitoring suspected cases of coronavirus. All emergency doctors have received training in coronavirus characteristics and patient symptoms. Meanwhile, laboratory tests have also been prepared, so that if cases do occur, doctors and laboratories will be able to detect and diagnose them rapidly. Currently, the city has no case reports of any novel coronavirus infection. WHO says that it is best not to assume that the new coronavirus spread is limited to the above-mentioned Middle Eastern countries. No matter which country a cluster of severe acute respiratory infection is seen, or if these infections occur among health workers, there should be a thorough investigation. The reason why the new virus has caused great concern is because "atypical pneumonia" (SARS) virus that killed hundreds in 2003 was due to coronavirus. However, genetic analysis shows the closest match to the novel coronavirus is a bat coronavirus found in the Netherlands in 2008, rather than the SARS virus of 2003. The cause of the novel coronavirus infections is unclear, with most infected people having severe acute respiratory syndrome associated with acute renal failure.